Another national publication has raised a glass to The Apothecary at Brent’s Drugs. 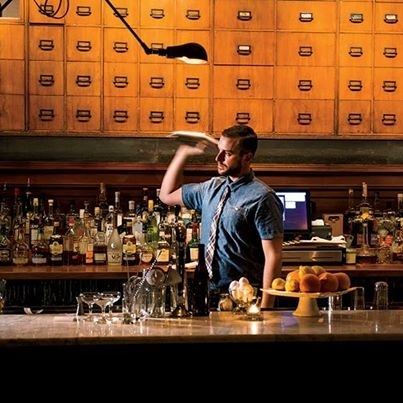 “Unmarked and scarcely advertised, the speakeasy-style bar offers proof that the cocktail revolution has spread to all corners of the South, bringing gourmet sliders and five-ingredient drinks even to this former pharmaceutical storage room,” the magazine says. Earlier this month, The Apothecary was lauded by Southern Living Magazine as a favorite. Garden & Gun, LLC is a lifestyle brand anchored by its award-winning national magazine, Garden & Gun that covers the best of the South, including the sporting culture, the food, the music, the art, the literature, the people and their ideas.